The Arabian Nights Village is located in Al Khaznah which is a very popular locale in Abu Dhabi. It is very strategically designed for both business and travel, since its convenient location provides easy access to all the major destinations of the city. It offers many facilities to make your stay at this place a wonderful experience for you. 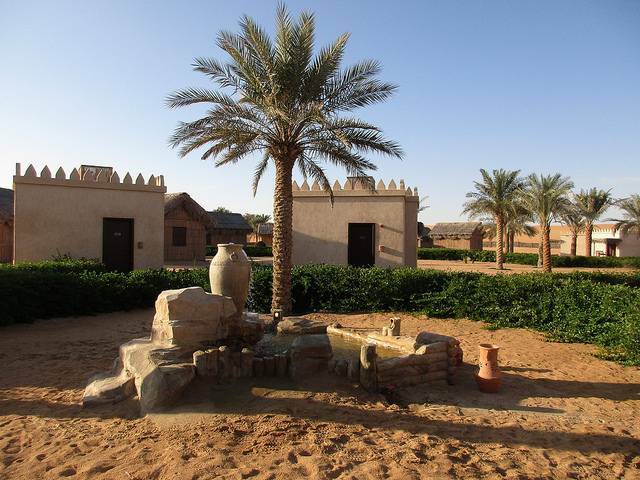 It is a very popular desert safari hotel among the tourists coming to Abu Dhabi. The rooms available here are of high quality which are very well maintained and provide free Wi-Fi, air conditioning and spacious closets. The hotel also has various recreational activities which makes sure you have something to do during your stay this place. It provides a luxury experience in between the deserts! You can go for camel rides, dune bashing and sand surfing. The view from this hotel is as fabulous as the food and the entertainment. It is just the perfect place for a family vacation. If you are looking for a thrill, as well as, luxurious accommodation the Arabian Nights Village is a must visit for you!